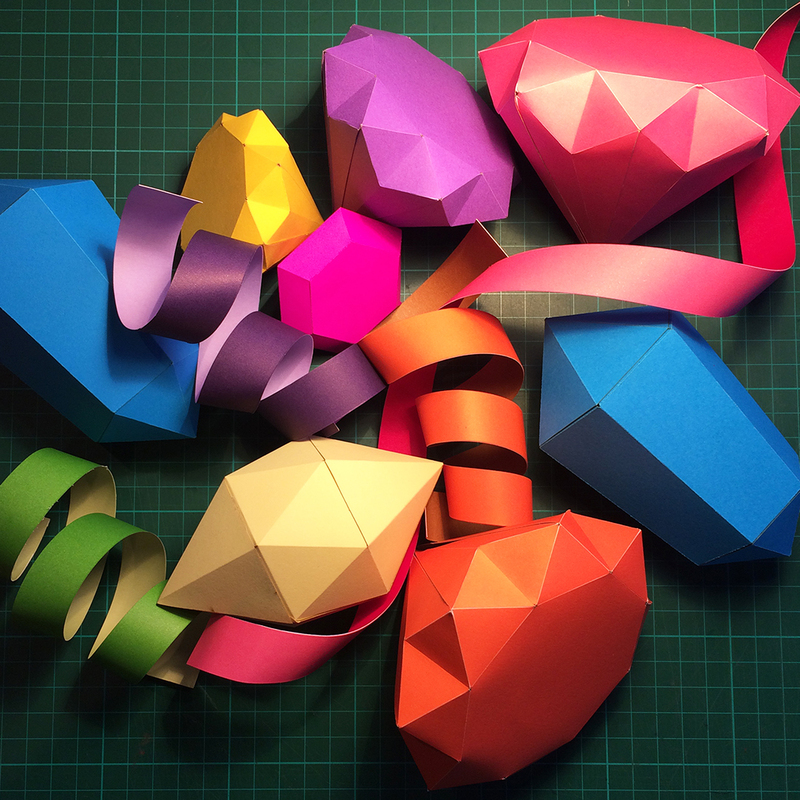 We asked Studio Assistant, Orla, about her adventures in papercraft. When I first started in Yelldesign I had a lot to learn about paper. There are different weights, textures and so many shades – and all of these are quite important. I realised that although I considered myself to be “creative”, I had no clue what I was doing. So, I did what every confused millennial would do and turned to Google. I scrolled through pages and pages of amazing paper artwork and watched tutorial after tutorial on origami and paper flowers before I realised what I had to do. So started my trials and tribulation with 3D geometric shapes. Countless cubes, triangles and rectangles were constructed out of paper before I started tacking the serious geometric shapes. I compiled files and files of countless layouts to numerous shapes and my desk was full of half constructed paper disasters and double sided tape stuck to anything I touched. It was a lot of repetition and work but soon I could make rombicubes, icosahedrons and the dastardly dodecahedron. I realise that all of this sounds ridiculous but geometric shapes are pretty important in our work. They can often be the skeleton of a piece; a base on which you build. 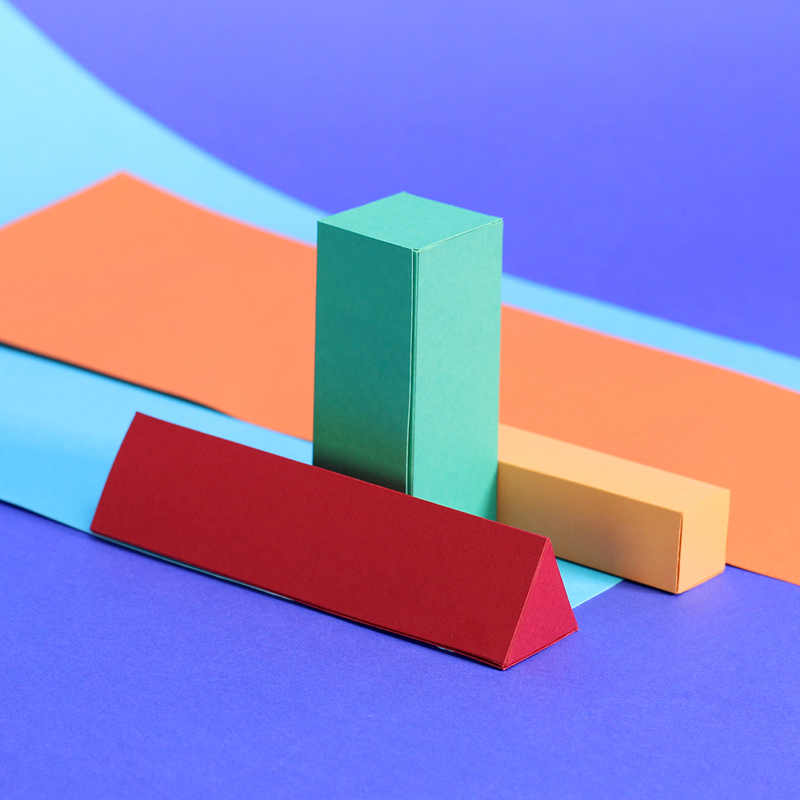 By making geometric shapes over and over again, I realised that I was beginning to learn a little bit about paper – more than any video tutorial could teach me. Practice might not make perfect, but it certainly helps!